12:00 p.m. - 5:30 p.m.
Fintech & Credit Unions: Win, Lose, or Draw? 12:00 p.m. - 1:45 p.m.
Overcoming Biases to Lead Stronger Teams: Experience. Courage. Vulnerability. Enjoy the sights of Austin! Marcus Cotton, Credit Union Resources, Inc.
Special Session - Advocacy FocusAdvocacy 360: What will Congress and NCUA do this year? While driving employee engagement and retention can sometimes involve increasing salaries, benefit, and perks for employees, one of the most important things that can be done is to create an inclusive and collaborative culture. Creating a healthy culture means creating a collaborative senior leadership team as well as including lower level managers in team building and alignment with the mission, vision, and values of the credit union. This workshop will detail how companies can build a healthy, collaborative, and inclusive culture from top to bottom and retain key talent. No advance preparation is required. 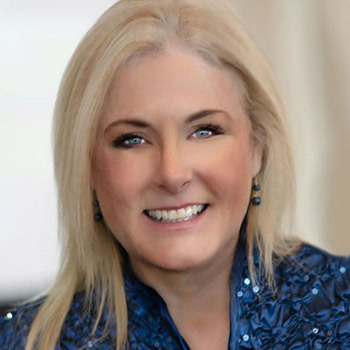 Christine Allen, Ph.D., is president of Insight Business Works, a coaching, training, and consulting company. Since 2009, Allen has provided executive coaching, leadership development, team building and coaching, and talent selection and assessment training. She is board certified through the Center for Credentialing and Education, a member of the Forbes Coaches Council, and holds numerous certifications. 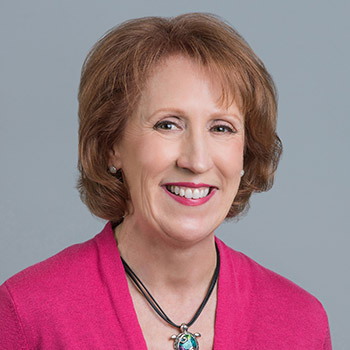 In addition to her advanced business, consulting, and teaching credentials, Allen has received numerous awards, including the 2014 Dr. Joanne Lifshin Mentoring Award and a 2011 Distinguished Service Award from the New York State Psychological Association. She is a licensed psychologist in the state of New York. Advocacy 360: What will Congress and NCUA do this year? Having served as a regulator at both the NCUA and the Federal Housing Finance Board, Cybersecurity, third-party vendor authority, BSA/ALM policies, interest rate risk, exam schedules, and complaints top the list of regulatory concerns, while Congress will be debating taxation, CECL, housing finance, and fintech. Each one of these issues can affect your credit union. invaluable background, guidance, and insight. During this session, Bacino will lay out the regulatory and legislative agendas, as well as provide an inside look at the effects these decisions will have on your credit union. Top regulatory concerns include cybersecurity, third-party vendor authority, BSA/ALM policies, interest rate risk, exam schedules, and complaints. Key issues in Congress include taxation, CECL, housing finance, and fintech. This session is not eligible for CPE units. Two-time Presidential Appointee Geoff Bacino served on the Board of the National Credit Union Administration (NCUA) as an appointee of President Bill Clinton and was nominated to serve on the Federal Housing Finance Board by President George W. Bush at the recommendation of Senator Harry Reid. During his term at NCUA, the agency cut the budget, instituted the Accountability in Management (AIM) project, improved agency morale, and held the first-ever budget forum. Highlights of his tenure at the Finance Board include resuming the Public Directors program, repealing the Retained Earning proposal, and overseeing the agency's response to the financial crisis of 2008. If it feels like you're seeing more complaints and spending more time and money dealing with negativity and backlash, you’re right. The truth is, 80 percent of companies say they deliver exceptional customer service, and only 8 percent of their customers agree. But haters aren’t your problem; ignoring them is. In this eye-opening presentation, Jay Baer reveals new proprietary research into The Science of Complaints—why and where your customers complain and how to turn customer service into your marketing advantage. Baer teaches the critical steps for retaining and delighting customers in this disrupted era when customer service has become a spectator sport. Word of mouth is responsible for as much as 50 percent of all purchases, yet almost nobody has an actual plan to generate it. In this dynamic presentation, Jay Baer presents a simple, critical choice: Do you want to be the same, or do you want to be different? Because same is lame. We ignore average, but we discuss different. When you offer a differentiated, talkable customer experience, you compel conversation, and when customers are compelled to talk, they recruit new customers… for free. Baer teaches the four truths for a differentiator to be a Talk Trigger; the five types of word-of-mouth-generating Talk Triggers; and the six-step process for creating Talk Triggers. Learn how to vastly improve your approach to marketing and customer acquisition. 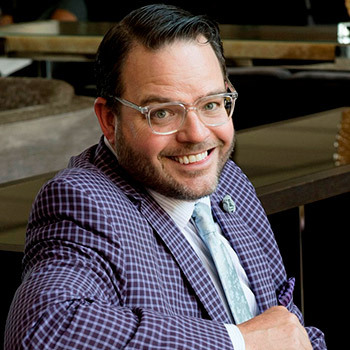 Jay Baer helps businesses clone their customers. As a 7th generation entrepreneur, he has founded five multimillion-dollar companies and written six bestselling books, including Hug Your Haters, named one of 2016's top three business books by Strategy: Business Magazine. Baer is president of Convince & Convert, a consulting firm that works with the world’s most iconic brands, such as United Nations, 3M, and Hilton. He is a recent inductee into the Professional Speaking Hall of Fame, an avid tequila collector, and a certified barbecue judge. Hang on to your seats… Here comes Jay Baer! Credit unions are in the business of money, here to provide access to the funds our members need to fuel their goals and dreams, whether that be a home, a vehicle, a college education, or a business. So, it should come as no surprise that members expect their credit union to be a trusted financial coach as well. Member financial education is not only one of the cooperative principles, it's the cornerstone on which loyal banking relationships are built. This session will cover practical, multi-channel ways you can imbed meaningful money management principles throughout your member interactions and communications. Cynthia Campbell has been an innovator, researcher, strategist, educator, and speaker with and for credit unions for the last 14 years. At BALANCE, she helps credit unions implement financial empowerment for members and employees into their overall strategy. From digital content to financial counseling, employee development to community workshops, Campbell works with every channel and audience. She was previously VP of innovation and strategy for Oklahoma Central CU, director of impact and labs at Filene, and VP of financial empowerment at Tinker FCU. She holds a CUDE, a BS in business administration, an MBA from Elmhurst College in Illinois, and a master’s in adult education from the University of Central Oklahoma. Concurrent Session: Fintech and Credit Unions: Win, Lose, or Draw? Innovative fintech solutions are bringing new product, services, and energy to the financial services industry. This new competition will have a profound impact on the credit union industry and the way you offer financial services. There will be winner and losers. Change is intimidating, yet change is a huge opportunity for credit unions. Implementing new technologies means you can bring more value to your members. Fintech cannot succeed without partnering with credit unions. The high tech, high-touch world is at your feet. Bryan Clagett is the principal driver of Geezeo's marketing and communication strategy. He ensures that the Geezeo team supports the marketing needs of their clients. He is a Forbes contributor and member of the Forbes Communications Council. Clagett was previously EVP of client development at Raoust+Partners, a marketing firm that supports the brand communication needs of financial institutions, and prior to that VP of marketing and e-commerce with New Jersey’s Affinity FCU. The FASB’s standard on CECL takes effect in 2022, but it’s not too early to prepare. Join Shayne Kuhaneck, assistant director for the Financial Accounting Standard Board, and Alison Clark, chief accountant for National Credit Union Administration, for a broad session about what the FASB standard says—and what it doesn't—as well as a basic timeline. Learn the basics for successfully implementing the credit losses standard, as well as which resources are available to help you make a smooth transition. Take a deeper dive into the methodology of "vintage" and "WARM." The FASB’s standard on CECL takes effect in 2022, but it’s not too early to prepare. Join Shayne Kuhaneck, assistant director for the Financial Accounting Standard Board, and Alison Clark, chief accountant for National Credit Union Administration, for a broad session about what the FASB standard says—and what it doesn't. Learn about the basics for successfully implementing the credit losses standard, interpretations, and regulatory expectations, as well as which resources are available to help you make a smooth transition. Alison Clark is the chief accountant in the Office of Examination and Insurance at National Credit Union Administration. During her 15 years with NCUA, she has also been an examiner, a problem case officer, a liquidation analyst, and senior policy accountant. Clark is a CPA and CFE with a diverse background in the private sector. She also worked in public accounting at a midsize regional firm. Clark earned a B.S. in accounting from Husson College in Bangor, Me., and an MBA from New Hampshire College. Understanding why consumers make certain decisions is key to supporting and attracting credit union members. As a whole, we overspend and overborrow, don’t save enough for the future, and make financial mistakes that can have consequences for decades. Yet research repeatedly shows that financial literacy alone does not lead to better outcomes for individuals. You will learn why financial education fails to improve behavior and leave the session equipped with actionable strategies to help members manage their financial lives with confidence. Did you know that more than 46 percent of Americans are unable to come up with emergency funds to fix the heat or buy new tires? For households making less than $40,000 per year, the statistics are staggering. During this session, we will leverage insights from Filene’s work on financial capabilities and the best ways to reach minority households. We will focus on five programs tested in our incubator that proved how giving access to the underbanked is a win-win-win for you, for the member, and for the communities you serve. Finally, you will walk away with two tangible implementation toolkits to help you make financial services more accessible for those who need it most. 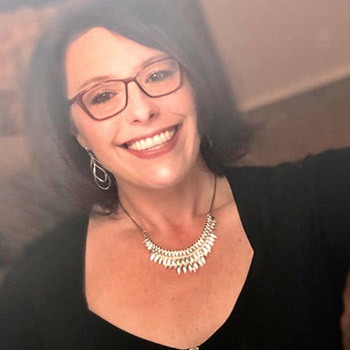 Erin Coleman is a spirited credit union advocate with two decades of experience and an internal compass that points to making the world better. She places deep value on learning, honesty, and integrity. 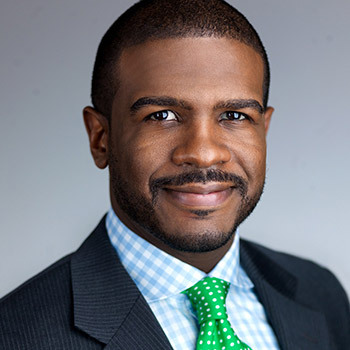 As Filene's senior impact director, Coleman assists credit unions in creating and executing actionable strategies that help solve challenges and achieve goals. Coleman graduated from Eckerd College Honors program with a dual BA in cultural anthropology and international studies. Coleman can often be seen taking in the sunrise along Tampa Bay with her dog Tembo, paddleboarding, dreaming of her next international travel adventure, or celebrating friends and family. Directors’ roles and responsibilities continue to broaden as evolving regulations and increasing demands for risk oversight turn up the heat on boards. Board reports should help directors assess their credit union’s condition and determine if the level of risk conforms to the board’s policies and risk appetite. To use reports effectively, directors should look at the trends and level of individual measures, as well as interrelationships of capital, asset quality, earnings, liquidity, market risk, and balance sheet growth. Understanding the true picture starts with asking the right questions, and to ask the right questions, directors must understand board reports. This session focuses on accounting, risk, and regulatory issues. Ancin Cooley is founder and principal of Synergy Credit Union Consulting, Inc., which helps credit unions manage risk, increase profits, and help members through a suite of services that includes supervisory committee and director training, strategic planning, loan review, internal audits, and regulatory compliance reviews. With more than 15 years' experience, Cooley manages a growing portfolio of clients throughout the U.S. He honed his skills at the U.S. Treasury Department performing examinations for financial institutions ranging from $100 million to $8 billion in assets. When not advising clients, he designs and conducts trainings for credit unions. He is an expert contributor to myriad financial publications, most recently Forbes Magazine and Credit Union National Association. As a solutions specialist at AdvantEdge Analytics, Aaron Grossman helps credit unions uncover and use data insights that can establish deeper connections with today’s members. Grossman joined AdvantEdge Analytics after successful careers with Oracle and IBM, where he honed his data analytics knowledge and showed dozens of companies how to use data to make informed decisions. During this dynamic session, Humston shares the importance of corporate story, including why members must know the story of your credit union; how that story will help retain members and gain new ones; and how to create an effective narrative and tweak that message across multiple mediums. Applying these concepts, you'll study a credit union, before and after, to see the real power of story. After overcoming a speech-related birth defect to become a full-time speaker and performer, Scott Humston now devotes his extraordinary life to educating through entertainment. 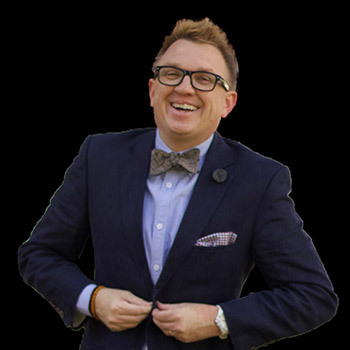 Over the last 25 years, he has inspired and motivated many thousands during events for Southwest Airlines, UPS, BBC, WonderWorks, Nashville Bankers Association, three shows for The White House, and more. Humston is president of The Motivation Resource Group, Inc. and the territorial VP of North Florida for the International Brotherhood of Magicians, as well as associate editor and columnist for The Linking Ring magazine. His first book will be published January 2019. He holds a BA in communication and dramatic arts and has been recognized with professional and community awards. Create a strategic business plan with easy-to-use templates. Employ a structured referral system to increase business. Track strengths and weaknesses of teams to assign tasks, align goals, and achieve optimal outcomes. Implement a daily tracking tool to create cohesive teamwork, improve productivity, and better engage those around you. And 11 other actions that grow your business. 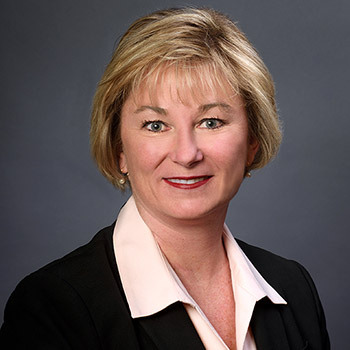 Commander Mary Kelly is an internationally recognized economist specializing in leadership, productivity, communication, financial planning, management, and business growth. She delivers humorous, inspiring, and insightful keynotes on her specializations as well as creative problem-solving tools that enable transformation of corporate cultures and structures. She is a graduate of the United States Naval Academy and spent 20+ years on active duty in intelligence and logistics before retiring as a commander. She earned masters’ degrees in history and economics and a PhD in economics, and she taught at U.S. Naval Academy, U.S. Air Force Academy, and Hawaii Pacific University. She has authored numerous books and is quoted in periodicals including Money Magazine, Entrepreneur, and Wall Street Journal. Digital marketing technology is changing at near breakneck speeds, and the customer journey has blurred. Personal digital service and micro moments are the new talk. Today’s marketers not only need guts, grit, and gumption to keep up, but a guiding strategy that keeps marketing plans focused and relevant while they dance with “what’s next.” In this session, find out what’s new, what’s golden, and how to hold on for a wild ride. 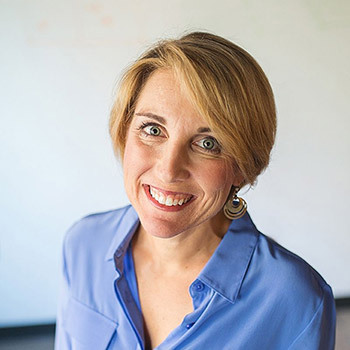 Sharon Klocek-Ibbotson is director of content strategy for a full-service interactive digital signage agency that helps clients accelerate transformation and growth. Previously, she was a media producer at Visual In-Seitz building award-winning business communications for the headquarters of Xerox, Kodak, and Bausch & Lomb. 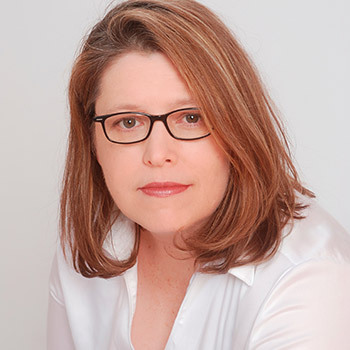 She also worked in web and interactive content development at New York’s BizBuzz Communications and as a multimedia producer at 35 West Productions in Madison, Wis. Klocek-Ibbotson is a graduate of the ABA School of Bank Marketing and Management. She holds a bachelor’s in audiovisual communications from Rochester Institute of Technology and an associate degree in photography/multimedia from Art Institute of Pittsburgh. 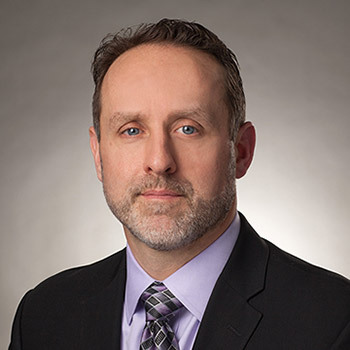 Shayne Kuhaneck is assistant director of technical activities at the Financial Accounting Standards Board, overseeing implementation activities for FASB standards and projects related to credit losses, hedging, recognition and measurement of financial instruments, and leases. He also oversees projects that include nonemployee share-based payments, consolidations, and distinguishing liabilities from equity. Previously, Kuhaneck served as senior technical advisor in GE Capital’s Accounting Policy Group, focused on technical accounting matters related to acquisitions and dispositions of significant businesses, impairment of financial assets, derivatives and hedging activities, consolidation, and debt and equity classification matters. Kuhaneck is a veteran of the U.S. Navy and has a B.S. in accounting from the University of Connecticut. The regulatory environment for credit unions has changed dramatically over the years, both in the number of rules that must be abided and in the severity of consequences that come to those who don’t. Following the ever-changing rules and remaining good stewards of your credit union is a must for your members, but it can seem daunting because of the time and resources required. The good thing is, help is closer than you think. This session is an overview of today’s regulatory climate, the changes that impact credit unions, including the first quarter of 2019, and the many compliance resources and support you can easily access for help through the league. Glory LeDu is CEO of League InfoSight where her primary objective is to deliver collaborative and effective regulatory compliance solutions to credit unions directly through league/association partners. LeDu is passionate about compliance and regularly provides compliance training to credit union employees, officials, and examiners. 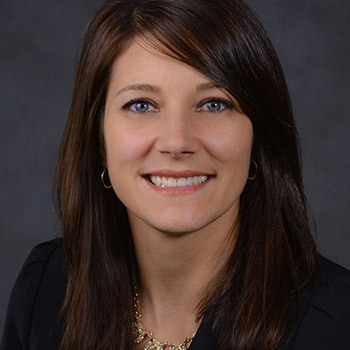 She maintains designations from CUNA, including Credit Union Compliance Expert (CUCE), Credit Union Enterprise Risk Management Expert (CUERME), and Bank Secrecy Act Compliance Specialist (BSACS). 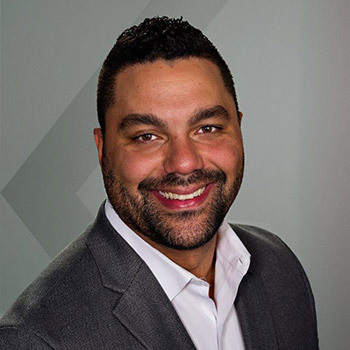 LeDu has 15 years' experience in the financial industry and previously worked for CU Solutions Group, Michigan Credit Union League and Affiliates, and CASE Credit Union. She received her Bachelor of Science from Northern Michigan University and Master of Science from Pace University. Nearly half of all credit union CEOs plan to retire in the next 10 years, one-quarter of them in the next five. Boards play a critical role in succession planning by ensuring the credit union will be able to continue to serve members in all circumstances. A good succession plan charts actions for the board and employees in the event of the death, disability, resignation, retirement, or termination of the CEO. Learn why it's crucial to have a succession plan and the pitfalls for not having one; the board's role in preparing the plan; how to prepare the best plan possible; and how to implement that plan when the time comes. 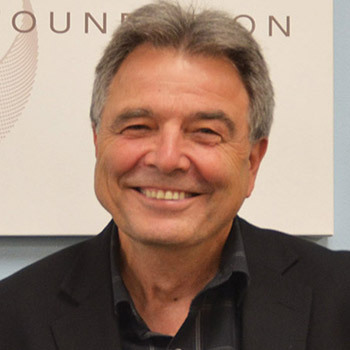 Mark Lynch is cofounder of CU Difference, an independent consulting company formed in 2018 to help credit unions develop strategic plans focused on business and social goals. Since moving to the U.S. from Australia 14 years ago, Lynch has delivered more than 600 presentations in 49 states, primarily on growth strategies, optimizing the CU difference, serving the underserved, and retaining the CU tax status. Previously, Lynch was a field coach with National Credit Union Foundation's REAL Solutions Program and a senior program manager. He helped CU staff through the Enhanced FiCEP Program, created the interactive Retirement Fair, spearheaded two pilot programs to help CUs provide auto loans to members with low credit scores, and helped develop the Credit Union Development Education (CUDE) Program. Concurrent Session: Overcoming Biases to Lead Stronger Teams: Experience. Courage. Vulnerability. As professionals, we have navigated challenges which left us wiser and better positioned to lead. Ironically, those same experiences may have deepened our biases and impacted our decision making. We can leverage our experience to enhance our teams' productivity without allowing our biases to impede our vision and hamstring our leadership. Success at the leadership challenge takes a mixture of experience, courage, and vulnerability. Leadership and training are core to Dr. James Pogue. From his military service and overseas deployment in Desert Storm, he learned the critical importance of leadership, fellowship, and training—that improvement and survival is based not only on the best possible information, but also the best training and leaders possible. After 10 years in higher education focusing on diversity and inclusion, Pogue expanded his work to include multi-generational leadership, helping colleges and organizations attract, engage, and develop talent at all levels. 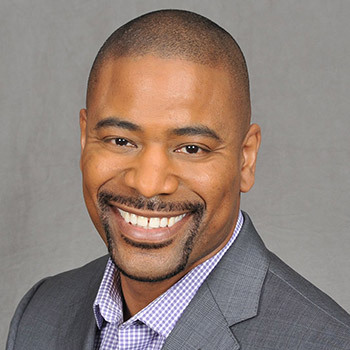 He worked with the Association for Healthcare Volunteer Resource Professionals (AHVRP), UNCF, and GEAR-UP and is board member of the Broome County Urban League in New York. Organizations must take essential steps to prevent or minimize the impact of a breach, but most organizations get these steps wrong, increasing the impact and cost of an incident and potential legal action. Adequate buy-in from executive leadership and sponsorship of an incident response program is critical to ensure that essential staff clearly understand their roles and responsibilities in an emergency cyber incident and to prevent business disruption, loss of jobs, reputation, and additional significant costs. Learn several key steps your organization must take to minimize the impact of a breach. 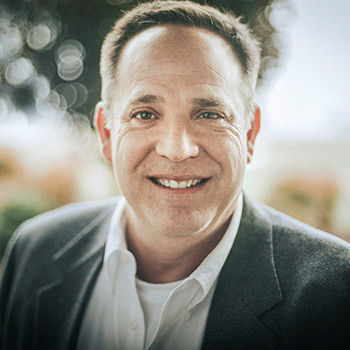 With 21 years of expertise, international speaker Heath Renfrow is considered a foremost expert in cybersecurity. He is director of the Chief Information Security Officer (CISO) Credit Union Practice at LEO CyberSecurity. Previously, Renfrow was CISO for multiple global organizations and for United States Army Medicine where he was awarded the 2017 Global CISO of the Year by the world's largest cyber training body. He holds a Bachelor of Science in IT and a Master of Science in cyber studies. 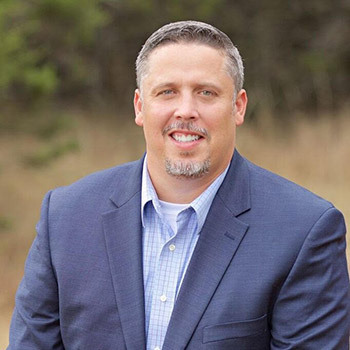 His designations include Certified Chief Information Security Officer (C|CISO), Certified Information Systems Security Professional (CISSP), Certified Chief Information Security Officer (C|CISO), and Certified Ethical Hacker (C|EH). The Cornerstone Credit Union League is implementing Sister Societies throughout the Cornerstone region. Sister Societies are Global Women Chapters (a World Council of Credit Unions Program), established around the world to further the Network’s global mission by making a local impact. The purpose is to convene credit union leaders (open to men & women), discuss credit union issues, exchange ideas, and network with neighboring credit union professionals. Due to limited seating, conference guests are not included in this luncheon. They can however still take part in the all attendee lunch during the same time. 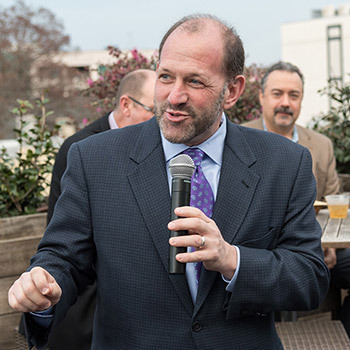 The lunch will be held Thursday, April 25, from 12:00 – 1:30 at the Hilton Austin. There is not a fee to attend, but you must register in advance. Join the fun of this black-and-white themed event by dressing accordingly. 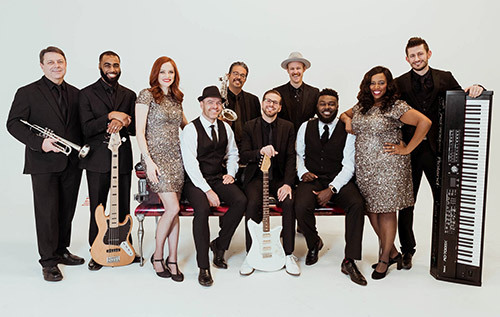 Whether you dress "business" or "after-five," you’re sure to enjoy the EXPERIENCE we have in store for you. Additional $95. Sign up at registration. Questions? Contact Experiences & Events at 800-442-5762 ext. 6630, or training@cornerstoneleague.coop.